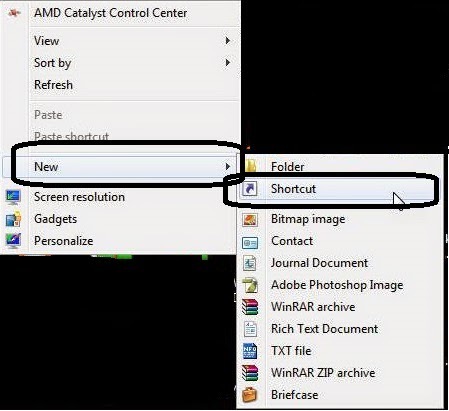 How to Create a RDP Shortcut in your PC. Today we are giving an interesting article which can actually save your time. This post is representing that how to connect to an RDP Server by just double clicking an shortcut !! To make a error free shortcut kindly follow below steps very properly. 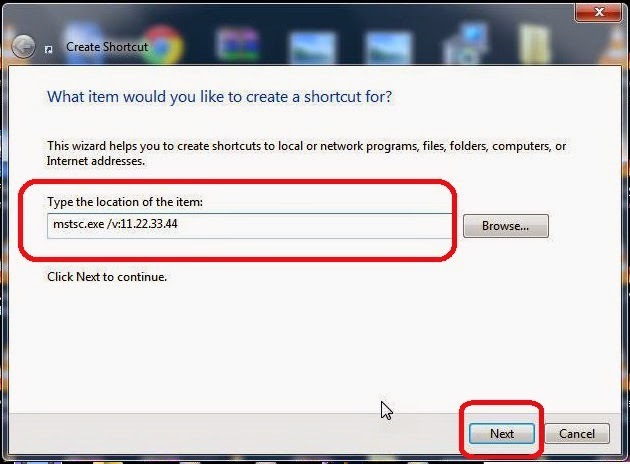 Right click on you desktop (anywhere) and select "New" then "Shortcut". Type the location in "Type The Location of the Item", then click on next button below right corner. In ""Type The Location of the Item" field you can enter any one code from below. 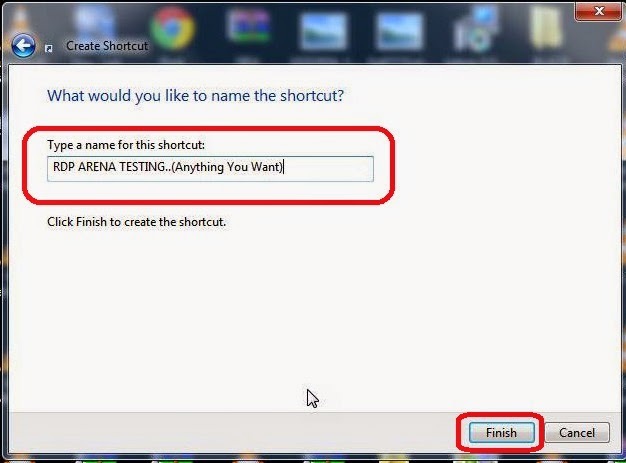 After clicking next you will get final screen, in there it will be asking a name of shortcut that you are creating,..(You can write any shortcut name you like).